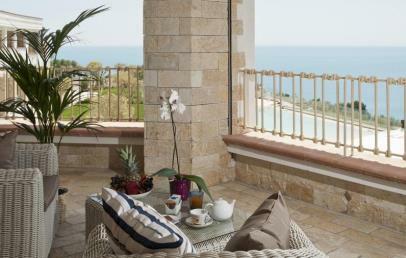 Il Porto Hotel faces the sea of Mattinata, a charming town of the Gargano, located along the coast road to Vieste. The hotel is perched on a natural terrace in the nearby of the touristic port, the beach and in a stratetic position to visit the best of this sub region. 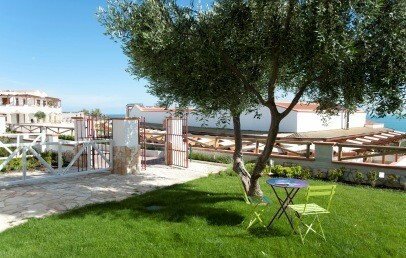 The ideal airport for an holiday in Gargano is “Karol Woytila” of Bari Palese, at 143 km far away from the Hotel Il Porto. Il Porto is a modern 4-star hotel where each space has been studied to invite effortless continuity between indoor and outdoor living. The Hotel presents several glass windows and verandas and it is characterized by white and pastel colors. Il Porto Hotel houses 39 rooms, one restaurant, a relaxing pool with solarium and a lot of greenery. Elegant and welcoming rooms characterized by the Mediterranean style. They provides all modern comforts as air conditioning, safe, minibar, TV with satellite channels and Wi-Fi connection. 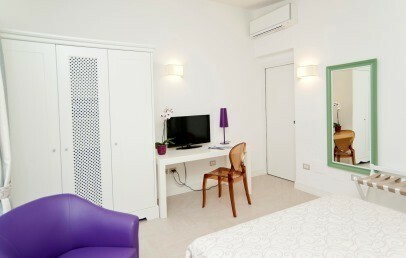 The Flat rooms are 100 to 400 m away from the main complex. In these rooms it is not possible to have separate beds. Double Flat – 35 sq.m., located on the ground floor with garden area, independent entrance, kitchenette, bath with shower, garden view or bay view with supplement (cot or 3rd bed). Family Flat Standard (3 or 4 people) – about 45 sq.m., located on the ground floor with garden area, independent entrance, living room with kitchenette, double bedroom, smaller room with a single bed or bunk bed, bath with whirlpool shower. 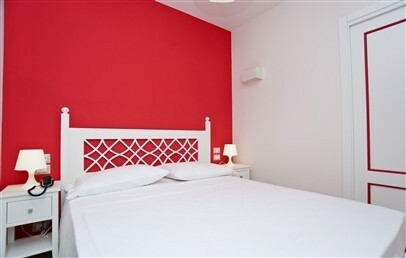 Family Room Sea View (interconnecting rooms, maximum 4 people) - it is composed by a double room with sea view interconnecting with a standard double room. The beach club of the hotel is located at approx. 1,5 km from the hotel and comfortable to reach with the shuttle bus. The territory of Gargano offers also a wide choice of beaches, small bays, caves and interesting sights that need to be seen. The beach service (1 sun umbrealla and 2 loungers per room) as well as the shuttle services are included in the price. The restaurant has a fantastic view over the sea view and welcomes its guests in a refined atmosphere, ideal for tasting the local specialties. An enogastronomic proposal that marries and enhances the typical flavors of the territory and proposes them in a new look, in the right balance between tradition and innovation. The shuttle services is available to reach the beach (seasonal service). The staff of the Hotel Il Porto is also glad to organize any cultural and naturalistic excursions and day trips as well as arrange any other requirements as: baby-sitting, room service, laundry & ironing service. Tourist tax of € 1,50 per person/overnight for a maximum of 10 overnights per stay and it has to be paid on-site. Children under 10 years are exempted. Valid during the summer season from April 1st to September 30th. Located on the ground floor. 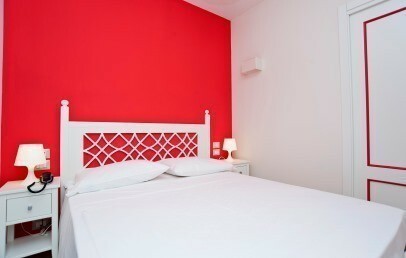 The Standard room features a Mediterranean style and a welcoming and elegant atmosphere. 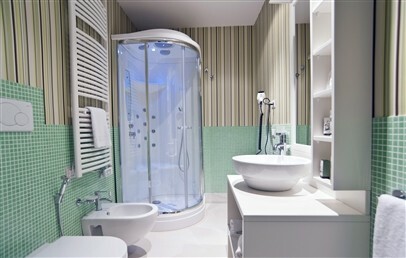 It provides air conditioning, safety-box, minibar, satellite TV, Wi-Fi connection and bathroom with whirlpool shower. It is not possible to add a cot or extra beds. Apartment with one bedroom, located on the ground with garden. The Double Flat features a Mediterranean style, a welcoming and elegant atmosphere and has one double bed and living zone with kitchenette with dishwasher and washing machine. It provides air conditioning, safety-box, minibar, sat-TV, Wi-Fi connection, bathroom with shower. It has an independent entrance. The Double Flat can host a cot or a 3rd bed with a supplement. Apartment with two bedrooms. The Family Flat features a Mediterranean style, a welcoming and elegant atmosphere. 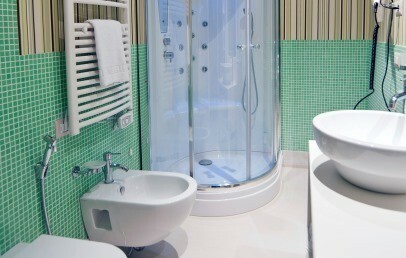 It provides air conditioning, safety-box, minibar, sat-TV, Wi-Fi connection, bathroom with whirlpool shower. It consists of a double room, a smaller sleeping room with a single bed and a living room with kitchenette (dishwasher, washing machine). It is located on the ground floor with an independent entrance and private garden. The Family Flat can accomodate up to 3 people. Located in the main building on the first floor. The Standard room features a Mediterranean style and a welcoming and elegant atmosphere. 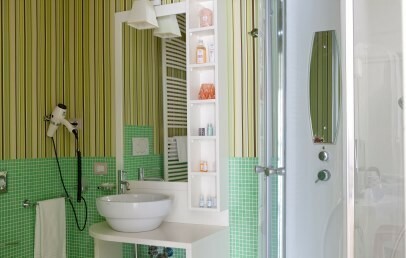 It provides air conditioning, safety-box, minibar, sat-TV, Wi-Fi connection, bathroom with whirlpool shower. These Standard sea view rooms have a terrace in common use and overlook the nice bay. Apartment with two bedrooms. 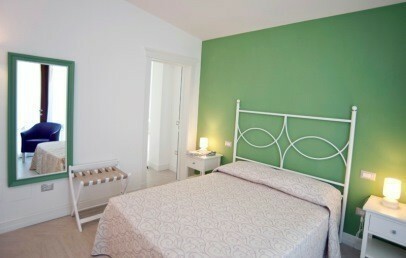 The Family Flat features a Mediterranean style, a welcoming and elegant atmosphere. It provides air conditioning, safety-box, minibar, sat-TV, Wi-Fi connection, bathroom with whirlpool shower. It consists of a double room, a smaller sleeping room with a bunk bed and a living room with kitchenette (dishwasher, washing machine). It is located on the ground floor with an independent entrance and private garden. The Family Flat can accomodate up to 4 people. Possibility to book with a supplement a terrace. Composed of a double bedroom with sea view communicating with a standard double bedroom. 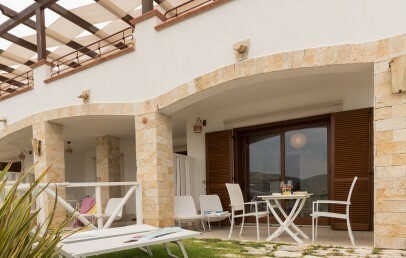 Equipped with two bathrooms with shower, also has a shared terrace overlooking the bay. Both rooms have independent entrances. One overlooks the sea and the other overlooks a courtyard. Advance Booking Non-refundable - Book at least 7 days in advance and get 10% reduction on your stay. The Advance Booking rate is a non-refundable one and the total amount of the stay is to be paid upon confirmation. Early Booking - Book within April, 15th 2019 and get a 10% discount on your stay. Advance Booking Non-refundable - Book at least 7 days in advance and get 15% reduction on your stay. The Advance Booking rate is a non-refundable one and the total amount of the stay is to be paid upon confirmation. Advance Booking Non-refundable - Book at least 7 days in advance (stays from August 1st to 31st) and get 10% reduction on your stay. The Advance Booking rate is a non-refundable one and the total amount of the stay is to be paid upon confirmation. Special 5% reduction for stays from May 11th to May 31st! 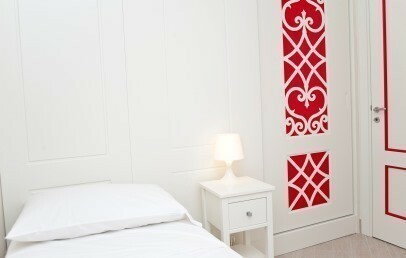 Baby cot (optional) for the kid up to 2 years old to be booked in advance and paid on site: € 10,00 per night.